Bleach Halloween. . HD Wallpaper and background images in the Bleach anime club tagged: matsumoto rangiku hitsugaya toshirou renji abarai inoue orihime ichida uryuu kuchiki rukia kurosaki ichigo bleach. 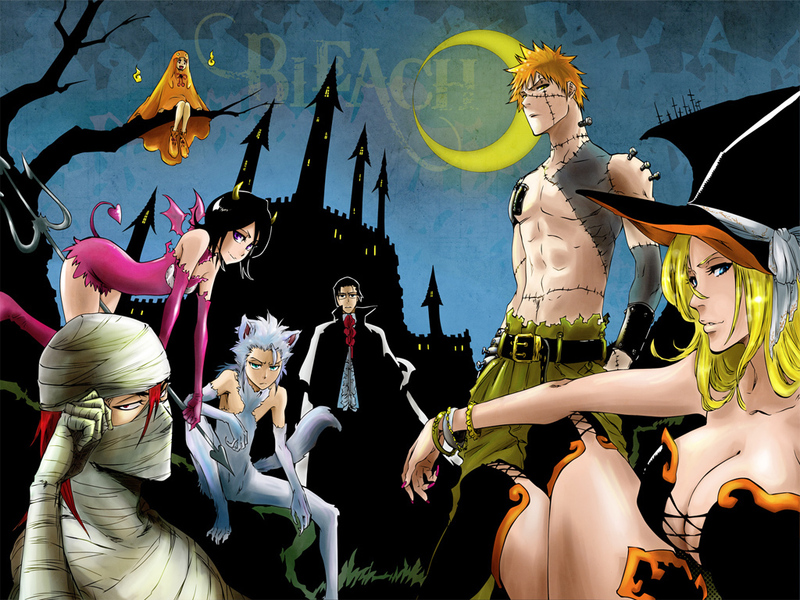 This Bleach anime wallpaper might contain anime, grappig boek, manga, cartoon, and stripboek.